I was like most youngster in high school. I listened to all the latests music. Watched the matching videos on MTV (back when they played videos). I also was a pretty good dancer. Most importantly, I was “cool.” I came to college and carried on in the same “cool” fashion. I remember once being asked by an admirer, “where’d you learn to dance like that?” I just shrugged as I broke into a another fit of rythm. I took it as a compliment. 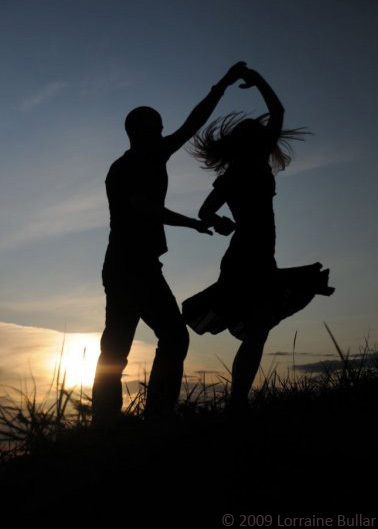 But, something happened when I had kids…I stopped dancing. My inner Material Girl, gave way to Barney, Kidz Bop and Blacklodge Kids’ Pow Wow Jams. I had stopped feeding the “me” that knew what cool was. There was point at which I remember thinking “who are you and what did you do to that dance diva named Lori? !” Yeah, it was bad. My kids were in middle school when a friend invited me to go dancing with her at a local latin club. That night, I danced and danced….so good! It felt wonderful to find “me” again. I didn’t stop. I was there twirling and swaying on the dance floor as often as I could…and I looked and felt amazing! There were times after that re-awakening that I used to try to teach my girls to dance. Or, I’d tell them about how I used to dance like a maniac in high school. They’d just giggle. They didn’t believe me. I don’t blame them…they hadn’t ever seen me “do” such things. And they could hardly even imagine it either. I wrote this poem back then about conflicting perceptions: theirs and mine. Today, they still giggle when I try to” bust a move”….if they only knew! isn’t “Bow Wow” what a dog does? …and COOL just isn’t cool for me to say anymore!